Applied Engineering Consulting Engineers, P.A. Applied Engineering, P.A. is a professional consultancy which provides piping/plumbing, mechanical, and electrical design services to the industrial, manufacturing and commercial markets. The office opened in May of 1998 as a satellite office of McKim & Creed and separated in January, 2001, to begin operations as Applied Engineering, P.A. Services are provided during any and or all phases of a project from developing an original conceptual design, site selection/planning, permitting, estimating, engineering, design, architecture, and construction management. Much of Applied Engineering's work involves renovations or retrofits to existing facilities. Applied Engineering works by the philosophy that no project is too small, allowing them to be of service when others cannot. 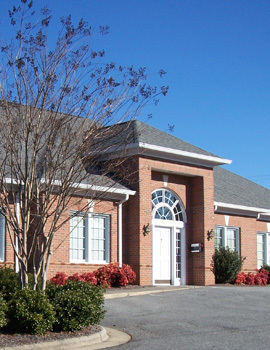 Our office is located in Winston-Salem, NC, with easy access to any city in the U.S.